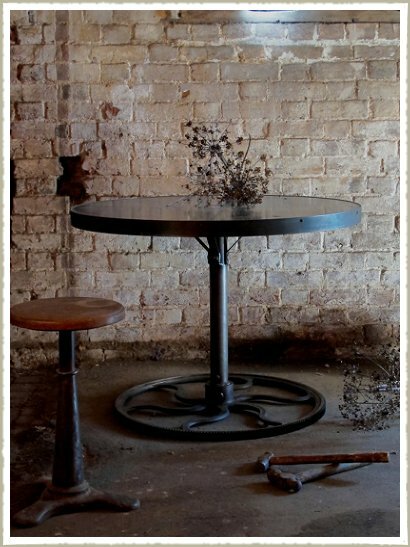 Our industrial round dining and cafe tables are made with old reclaimed industrial cogs for the base, a cafe and restaurant favourite. 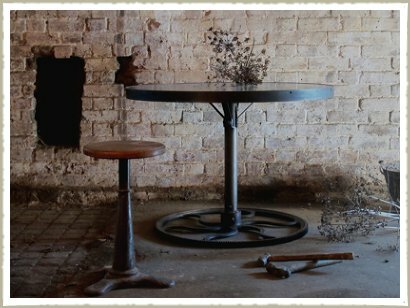 Our cog cafe and dining tables can be topped with aged zinc or oak and made to order. Made to order 100cm dia -140cm dia . 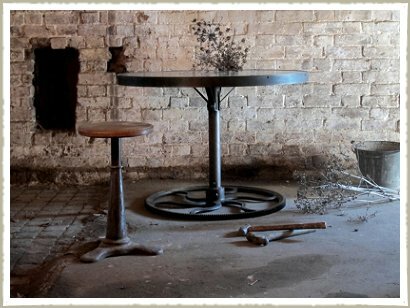 If you have a trade enquiry please contact for a quote.